Social media marketing is still relatively new, so digital marketers are always looking to learn from innovative implementers. Coca-Cola is one such company that has a unique approach to social media. SearchEngineWatch.com recently offered a closer look at the beverage giant’s successful social strategies. Coca-Cola views media as paid, earned, owned, and shared, according to Wendy Clark, SVP of Integrated Marketing and Communication. These divisions connect in various ways to create the different elements of the company’s overall marketing activities. In Coca-Cola’s eyes, expressions are more important impressions. This means that they place greater value on what consumers say, share and experience than on something they see. This unique angle on engagement drives all of the company’s marketing efforts. Content is always of prime importance, but their focus is on telling stories that are compelling and sharable, as well as on how they will move across social networks and customer touch points. The concept behind the content must also be directly linked to the brand’s marketing goals to ensure that their strategies stay on track. 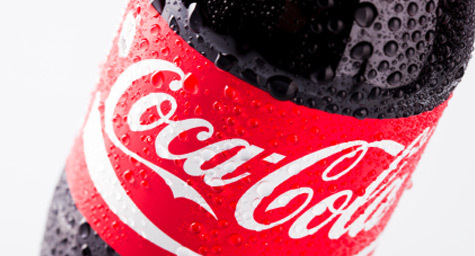 While other brands place an emphasis on personal loyalty, Coca-Cola is concerned with public advocacy. The company realizes that it’s customer referrals and public enthusiasm that drive a company’s business and ultimately extend its reach from one loyal consumer to a group of new adopters. “The combined emphasis on content as well as fostering brand advocacy is the perfect social media combo. The best way to expand your online community is with genuine interest and participation from your existing community,” said Jeff Cohen, Director of Social Media at MDG Advertising. This overt support is extremely powerful because it enables the advocate to express his own relationship with the brand, while encouraging others to develop their own. Read more about social media strategy at SearchEngineWatch.com.